Jimmy Garoppolo may not be thinking about his future in New England all that much, but it's been a hot topic for months. The backup quarterback, who played admirably in Tom Brady's absence at the beginning of last season, said he would be open to a contract extension with the Patriots despite wanting to play. Garoppolo will be an unrestricted free agent after this season, and it was clear the Patriots thought very highly of him when they decided not to trade him earlier in the offseason. The question of what the Pats will do with him past this season still lingers, though. He could be a prime candidate for the franchise tag, but a player can only be tagged twice in their career and it's unclear if the Patriots want to go that route. 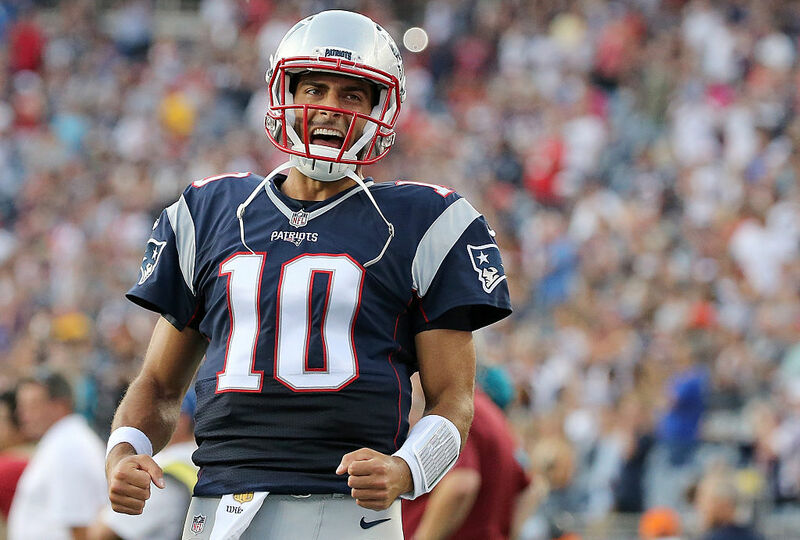 If Tom Brady begins to decline sooner than we might expect, the Patriots could move on from him and have Garoppolo ready to take over. Given Brady's desire to play until his mid-40s, the Patriots would probably move on from him before he moves on from them. But all of this is conjecture, of course, and the people who hold the keys to the car are Garoppolo and Bill Belichick. One thing is for sure - this isn't going away.